Should be clear enough tomorrow night! So, how was it for you ? @Flix wrote: So, how was it for you ? Cloudy, but I did get a brief view of comet 46p near Pleiades, worth every penny! Seriously though the sky around here is usually too cloudy, it was monsoon weather here on Friday. My advice in the event of a spectacular meteor shower, watch it with only one eye open. So you would observe a spectacular event in the heavens with one eye closed through the fear associated with science fiction. One associates such madness with the merkin people in the USA, the war of the worlds and ufo hysteria. Now it's the growing demand in Zombie busting pump action shotguns, an excellent enterprise in these times. 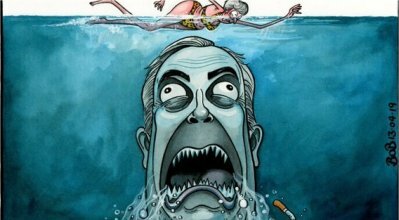 It is this exact type of media mind manipulation that is of course associated with Brexit and "project fear", a cliff edge, apocalypse, chaos, anarchy,,, ad nauseum. We are being force fed the fear of leaving until they're sure that they've convinced enough of us to remain!.